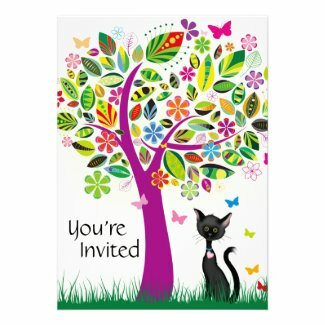 For even more invitations take a look at Personalized Garden Themed Birthday Invites. 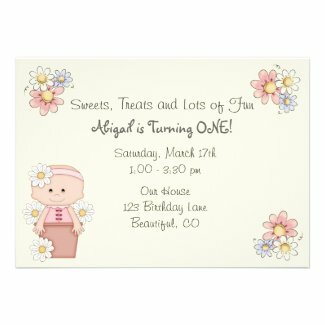 If you have a little flower girl turning one during the spring or summer, these are the perfect invites for her first birthday party. 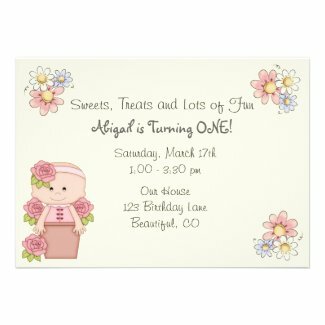 Each invitation features an adorable baby in a flower pot and surrounded by flowers. They can be personalized with the birthday girl's name and party details. Select any invitation below to view additional information and edit. For even more personalized invites take a look at Cute Garden Themed Birthday Invitations. If you need a few matching supplies take a look at Hugs & Stiches Flower 1st Birthday Party Supplies.